Xiaomi on Wednesday introduced its new Redmi Note 5 and Redmi Note 5 Pro smartphones in India. The key difference between the new phablets and their predecessors is a large 5.99” display with an 18:9 aspect ratio, but there are many other improvements too, including new design, camera, software and so on. The Redmi Note 5 will continue to employ the Qualcomm Snapdragon 625 SoC, but the Redmi Note 5 Pro will use a more powerful Snapdragon 636. The Redmi Note 5 will be priced below $200, whereas the Redmi Note 5 Pro will address audiences demanding higher performance/improved features and will therefore cost more than $200. Displays with an 18:9 aspect ratio introduced to the mass market by the LG G6 and the Samsung Galaxy S8/S8+ last year will become more widespread on higher-end, mainstream and specialized smartphones this year. 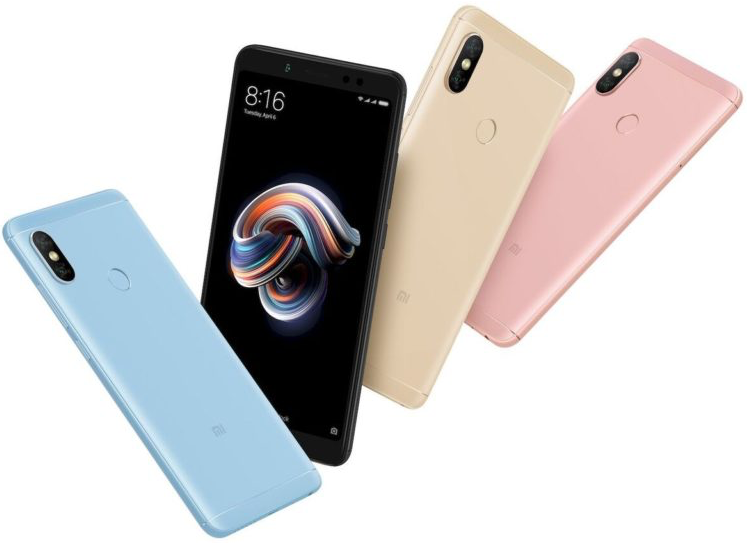 The new Redmi Note 5 and Redmi Note 5 Pro handsets from Xiaomi are outfitted with large 5.99” IPS displays featuring a 1080×2160 resolution and covered by Corning Gorilla Glass for protection. The larger screens naturally have an impact on overall design of the new smartphones, so it is not surprising that the Redmi Note 5 and Redmi Note 5 Pro look significantly different than their predecessors. Both phones come in an aluminum unibody chassis with rounded edges and antenna separated from the rest of the back cover using polycarbonate strips that look like metal. When compared to the Redmi Note 4, the tapered back covers of the Redmi Note 5/Note 5 Pro seem to have even more rounded edges and a slightly different texture. Xiaomi says that the new shape is more comfortable to use, but keep in mind that all physical features of all mobile gadgets are very individual. In addition to new design, Xiaomi will also offer a broader choice of colors with the new phablets. The Redmi Note 5 and Redmi Note 5 Pro will be available in matte black, matte blue, matte gold and matte rose gold colors in India. The color lineup might be different in other countries, but it is hard to make guesses about what exactly the manufacturer will offer at this point. Now, let’s take a look under the hood. The Xiaomi Redmi Note 5 is based on the Qualcomm Snapdragon 625 SoC, the same model was used for the Redmi Note 4. The chip has eight ARM Cortex-A53 general-purpose cores, the Adreno 506 graphics processor as well as Qualcomm’s X9 LTE modem, its performance and capabilities are well known, so there is nothing new here. It is a bit strange to see one SoC be inside both Redmi Note 4 and Redmi Note 5, but perhaps Xiaomi decided to stick to the chip due to cost reasons in a bid to price the RM5 competitively. 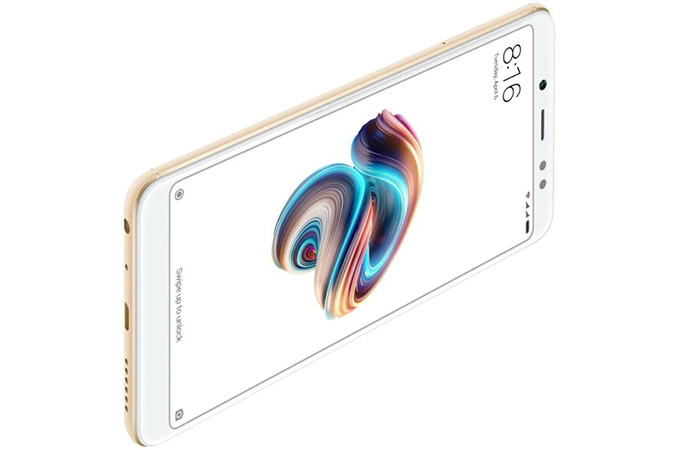 By contrast, the Xiaomi Redmi Note 5 Pro is powered by the Snapdragon 636 featuring Kryo 260 CPU (four semi-custom ARM Cortex A73 cores at 1.8 GHz and four semi-custom ARM Cortex-A53 cores at 1.6 GHz), the Adreno 509 GPU, an LPDDR4X memory controller as well as Qualcomm’s X12 LTE modem. Since A73 cores are among the highest-performing mobile CPU cores today, the Redmi Note 5 Pro will offer significantly higher peak general-purpose performance than the Redmi Note 5. Meanwhile, the S636 will also maintain similar energy efficiency in power saving mode (when compared to the S625) since low-power A53 derivatives are still there; besides, both SoCs are made using Samsung’s 14LPP process technology and therefore their voltages and other physical characteristics are similar. When it comes to DRAM and storage configurations, Xiaomi will offer various versions of the Redmi Note 5 and Redmi Note 5 Pro — there will be models with 3 GB of memory and 32 GB of NAND flash (the entry-level Note 5), variants with 4 GB of DRAM and 64 GB of storage as well as 6 GB of LPDDR4X with 64 GB of NAND (the flagship Note 5 Pro model). The new Redmi Note 5 smartphones have microSD slots that support cards of up to 128 GB, so it is easy to upgrade internal storage of the new devices (but keep in mind that you are going to need microSD cards with A1 or A2 badges to install software on them). As for operating system, the new Redmi Note 5 and Redmi Note 5 Pro will ship with the Android Nougat version 7.1.2 with the MIUI 9 on top. In addition to different SoCs, the Redmi Note 5 and Redmi Note 5 Pro have vastly different imaging capabilities. The Redmi Note 5 is outfitted with a 12 MP sensor with f/2.2 aperture and a dual-tone LED flash on the back as well as a 5 MP sensor with f/2.0 aperture and a LED flash on the front. Xiaomi claims that the new back-facing camera works better in low light conditions and also has an improved white balance, but one has to test the handset to verify such claims. By contrast, the Redmi Note 5 Pro comes with a ‘dual’ camera on the back that is comprised of a Sony IMX 486 12 MP (f/2.2, 1.25 μm) sensor, a 5 MP (f/2.0, 1.12 μm) depth sensor from Samsung and a dual-tone LED flash. The camera supports electronic image stabilization, phase detection autofocus as well as a variety of capabilities enabled by a depth sensor. Xiaomi says that the Redmi Note 5 Pro rear camera software features machine learning-based enhancements for more accurate edge detection by using semantic segmentation. On the front, the phone has a Sony IMX376 20 MP (f/2.0, 1/2.8”) sensor with a 4500K LED flash. This camera is also outfitted with the same ML-based software for edge detection, but since it does not have a depth sensor, the algorithm probably works a bit differently here. To further improve quality of selfies made by the front camera, Xiaomi also furnished its Redmi Note 5 Pro smartphone with its Beautify 4.0 software enhancement that supports multiple filters to remove various face imperfections. It is noteworthy that the camera software with Beautify 4.0 enhancements was tuned with India in mind and it remains to be seen whether the company introduces region- and/or country-specific camera enhancements in different parts of the world. Connectivity is a mixed bag for the Redmi Note 5. The smartphones support 802.11n Wi-Fi, Bluetooth 4.2 and a microUSB 2.0 port for charging. Both 802.11n and microUSB look a tad outdated for 2018 smartphones. Capping Wi-Fi to 802.11n is something that Xiaomi did to the S625-based Redmi Note 4, so it is not completely surprising that the company did the same to the Xiaomi Redmi Note 5. Perhaps, Xiaomi will rethink its Wi-Fi support for the Redmi Note 5 aimed at different markets, but only time will tell (frankly, it is something unlikely to happen). Connectivity of the Redmi Note 5 Pro was improved considerably compared to the RN4/RN5. The handset supports 802.11ac Wi-Fi and Bluetooth 5.0, but it still uses microUSB 2.0 port for charging. As for WWAN connectivity, the Snapdragon 625 and 636 support LTE, WCDMA, CDMA and GSM, but since this was an India-specific announcement, Xiaomi revealed bands fthat are relevant for this country and particular models. In any case, the best thing one can get out of the S625/X9 is 300 Mbps DL and 150 Mbps UL, whereas the S636/X12 supports up to 600 Mbps DL and 150 Mbps UL. Exact capabilities of particular smartphones depend on what manufacturers decide to support. Next up is biometric security, which is a standard capability nowadays. The Redmi Note 5 and Redmi Note 5 Pro are equipped with fingerprint readers, but the latter will also support Face Unlock feature after it gets an OTA update in late March. According to Xiaomi, its face recognition mechanism works faster than its fingerprint reader, but at present the company does not go beyond that. Both new smartphones from Xiaomi are equipped with a 4000 mAh battery that enables them to last for at least a day of active usage (based on the manufacturer’s clams). The company is known for using high-capacity batteries in its handsets, so the Redmi Note 5 and Redmi Note 5 Pro are not exceptions. 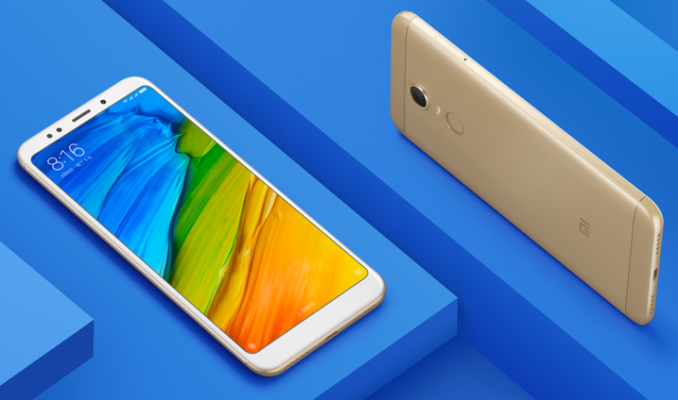 Xiaomi will start selling its new Redmi Note 5 and Redmi Note 5 Pro smartphones in India this month and will gradually expand their availability to other markets in the coming months and quarters. The Redmi Note 5 will retail starting from Rs. 9,999 ($156) for the 3 GB + 32 GB version and Rs. 11,999 ($187) for the 4 GB + 64 GB variant. The Redmi Note 5 Pro will naturally be more expensive: the flagship model with 6 GB of LPDDR4X and 64 GB of NAND will cost Rs. 16,999 ($265), whereas a SKU with 4 GB of DRAM and 64 GB of storage will be priced at Rs. 13,999 ($219). It looks like Xiaomi has different naming schemes for their home market vs. export markets like India and East Asia. The RN5 is just the RN4 with a 18:9 display. Seems Xiaomi has deliberately maintained it so that the RN5 Pro is preferred by consumers which is priced Rs. 1000 ($16) more than what RN4 was originally for the same RAM and storage. These are highly price sensitive markets !